Christos Passas (born in Cyprus) is an Associate Director at Zaha Hadid Architects (ZHA). Before being part of the studio, he graduated the School of Architecture of Pratt Institute, Brooklyn, NY in 1995, as a Fulbright Scholar and continued with his postgraduate studies in the field of Advanced Architectural Design at the Architectural Association, London, where he received his Graduate Design Diploma in 1998. In the same year, he began to work at the ZHA as a Senior Designer. During his activity, he was the Project Director and Lead Designer for numerous, award winning projects like the Phaeno Science Centre Wolfsburg with Sterling Prize nominee, completed in November 2005. The Phaeno was nominated by the Guardian Newspaper as one of the 50 best buildings of the 20th century. He has also lead the competition for seminal designs such as The Wakefield Art Gallery (2004), Connecticut Science and Exploration Centre in Hartford, CT (2004), the S.C. Johnson Wax Project Honour (2005) a prestigious extension to F.L. Wright’s Johnson Wax campus in Racine, Wisconsin, lead the competition for Eleftheria Square redesign in Nicosia, Cyprus-1st prize (2005) and the Miami Science museum- 2nd prize (2006). He has contributed to the design of various projects including the Sheik Zayed Bridge in Abu Dhabi (1998- ongoing), Rosenthal Contemporary Arts Centre in Cincinnati (completed 2003) and the design of the MAXXI National Centre for Contemporary Arts in Rome (2000-on going), and contributed in larger scale projects such as the Istanbul master plan for Kartal-Pendik. (2006). For Christos Passas, architecture is more than a living space, it is a practice that concern itself with the exploration of spatial concepts, experimenting with systems, geometries and proportions. In many ways, architecture is a wonderful exploration of the human mind, a medium through which civilisation propagates itself through time. During the work he`s doing with the team, Passas tries to expand the boundaries of the discipline, if we are talking about architecture as well as of the industry profession, so that good levels of innovation could be achieved. Integration of the technology in to the design process is a powerful reality, a skill used with success by the Zaha Hadid Architects. Beside his studio work, Christos Passas is teaching at the AA Design Research Lab, M. Arch programme. He teaches Parametric Design and Urbanism at the Architectural Association in London and is a Guest DAAD Professor at the Dessau Institute of Architecture (HA) at Bauhaus, Dessau. Being at the forefront of design research, he often participates in design juries at universities around the UK. Zaha Hadid Architects is an ambitious, dynamic international architecture and design studio founded in 1980 in London, by pritzker laureate Zaha Hadid. Their portofolio includes transformative, fluid, cultural and residential spaces, academic, sporting and infrastructure projects all over the world. 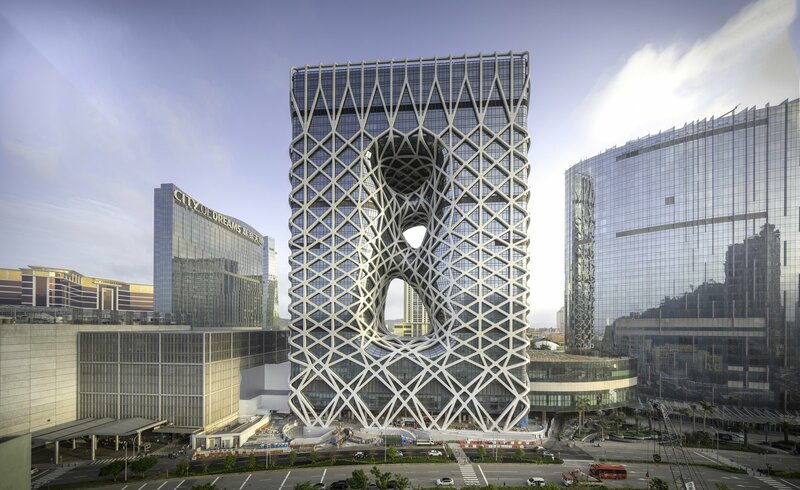 In February 2019, four projects of ZHA were shortlisted for The World Architecture Community Awards that is a record for the awards programme from a single design studio: Morpheus Hotel at City of Dreams, Macau; 520 West 28th in New York, USA; Nanjing International Youth Cultural Centre in China; Generali Tower in Milan, Italy. Christos Passas, Associate Director of ZHA will join us as a Great Speaker at SHARE Bucharest 2019, spring edition, organized at the Radisson Blu Hotel on 18th April. “It doesn’t make sense to look to much in to the past or into the future, in outer space or in inner space, but what does a lot of sense is to look deeper at now”, said Passas and we are waiting for his fresh, challenging views to be shared during the Forum.